The Hershey Harrisburg Region has year-round family fun and some of the best kid attractions in PA. Days last forever with thrill-seeking adventures and evenings are filled with fantastic food and desserts. S’mores anyone? 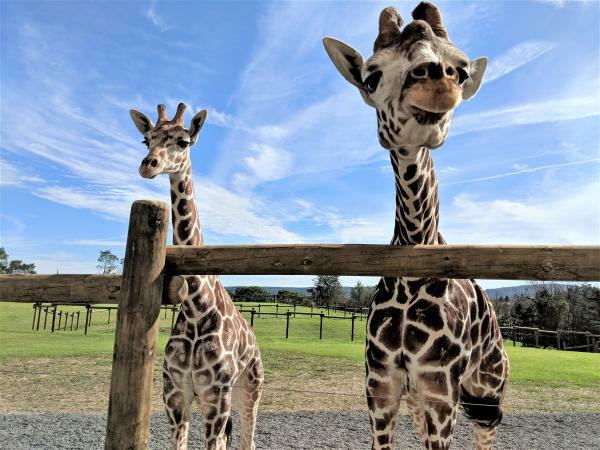 From a trolley ride in Hershey to a safari ride at Lake Tobias Wildlife Park, you're just a short ride away from family fun! Ahhh, sweet summertime! 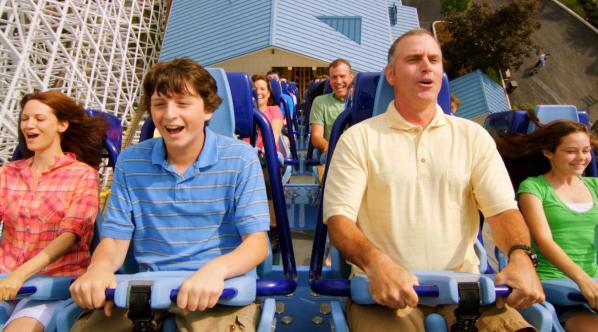 The coasters are roaring, the water slides are flowing, and everyone’s smiling from ear to ear at Hersheypark®! Spend a sweet day or two with the family enjoying 70+ rides and attractions including 14 coasters and an 11-acre water park! New this summer is Reese’s CupfusionSM, an interactive gaming ride that enlists its guests to protect the Reese’s factory and ensure the world always has a steady supply of Reese’s Peanut Butter Cups! Navigate Hersheypark like a pro with the Hersheypark app. Get walking directions, find places to eat, see ride wait times, and more! But wait! There’s more! Hershey has tons of family activities outside the gates of Hersheypark®. At Hershey’s Chocolate World Attraction, indulge with Hershey’s cupcakes, milkshakes, and s’mores, shop seasonal and hard-to-find Hershey’s products, and unwrap hours of family entertainment and activities. 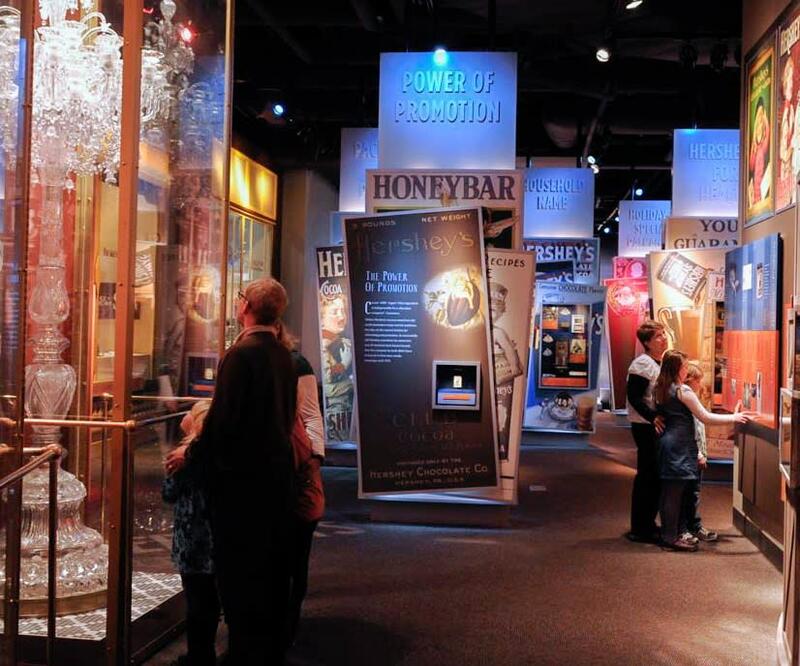 Step back in time to learn about the fascinating history of Milton Hershey at The Hershey Story Museum on Chocolate Avenue in Downtown Hershey. Walk among acres of blooms at Hershey Gardens. Race go-karts, ride bumper boats, and play mini golf at Adventure Sports in Hershey. Who wouldn’t like a little island getaway? Harrisburg’s City Island doesn’t have palm trees and sandy beaches, but it is an oasis for classic family fun. Take in the river breezes on the top deck of The Pride of the Susquehanna Riverboat. Challenge the family to a round at Water Golf, a beautiful yet challenging course. End your day with a pink and orange sunset at a Harrisburg Senators Baseball game followed by post-game fireworks. Harrisburg also has several free family fun activities including a visit to the Pennsylvania State Capitol. The building is the most ornate in the nation, and it’s free to take a guided tour of the Main Rotunda, House and Senate galleries, and Supreme Court. Taking in the sights and sounds of nature is always free and refreshing. Wildwood Park’s paved paths and boardwalks are lined with lush, mature trees, providing much-needed shade on the warmest of days! When the summer sun heats up, you’re going to be looking for a place to cool down! 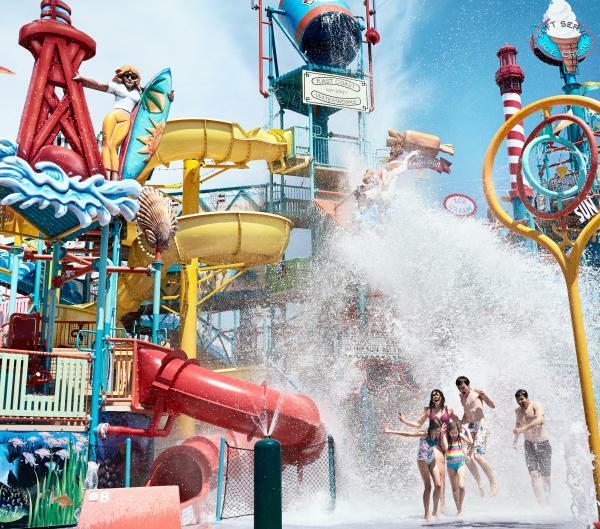 Get wet and wild at The Boardwalk At Hersheypark®, a full water park with over 1 million gallons of water, included with all summer admission tickets, Memorial Day to Labor Day. It has water slides, splash pads, and tipping buckets for the big kids, plus wave pools, a lazy river, and pint-sized ponds for the little ones in the family. 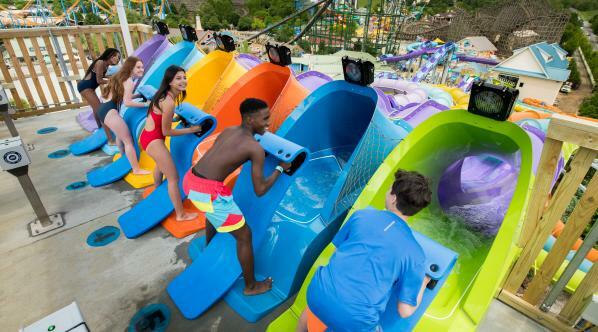 At Roundtop Mountain Resort, they transform their snow tubing hills into a water attraction featuring a 600-foot Super Slide and 11-foot inflatable OGO balls filled with water! The air isn’t the only thing that’s cool inside our marvelous museums. The State Museum of Pennsylvania has three floors of exhibits including anthropology, ecology, archaeology, and a planetarium. 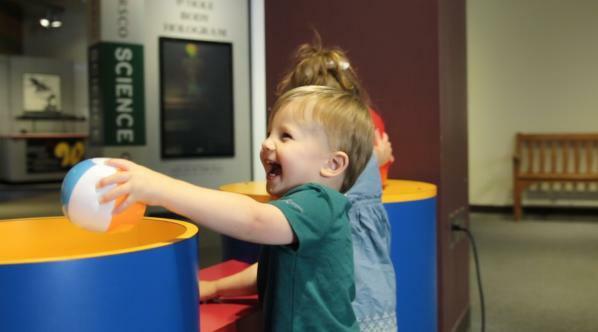 The family could spend an entire afternoon at The Whitaker Center for Science & the Arts, performing science experiments or enjoying an immersive 3D movie on the area’s largest digital screen. Head underground to explore Echo Dell – Indian Echo Caverns, a natural attraction and geological wonder in Hummelstown (link to blog when ready) that maintains a 52°F temperature year round! Make a new, furry friend at one of our region’s zoo attractions. Take an open-air safari bus out into the field at Lake Tobias Wildlife Park to touch and feed the elk, bison, and more than 500 animals who roam the park freely. New this year, you can feed and interact with their two new giraffes – Spike and Bakari! Additionally, the Park has a petting zoo with pygmy goats and alpacas, a reptile house, and dozens of outdoor exhibits. ZooAmerica® North American Wildlife Park is an 11-acre walk-through zoo located adjacent to Hersheypark. From the Southern Swamps to Big Sky Country, more than 200 creatures large and small call this park home throughout its five themed areas.